Another sunny day and the rain stayed away. Our first tower (Milton Abbey) involved a long climb up to the roof to enjoy the rolling countryside view that had been designed by “Capability” Brown. We have been here before but the view never ceases to inspire. When it came to ringing Middlesex Bob Triples the inspiration left us and we fell to pieces. The close proximity of the bells made it hard to hear instructions although Sally claimed she could hear her clapper squeaking, and she was right. Moving on, two excellent quarters were scored, with Chris and Mike scoring their firsts of Reverse Canterbury doubles and Paul scoring his first of Bob Minor. It was Gay’s first with us and she pulled out all the stops to help us through. Lunch at The Cricketers in Shroton was it’s usual high standard but all too soon we had to be off, one band to attempt Plain Bob and Grandsire Doubles,(didn’t go too well at the end!) 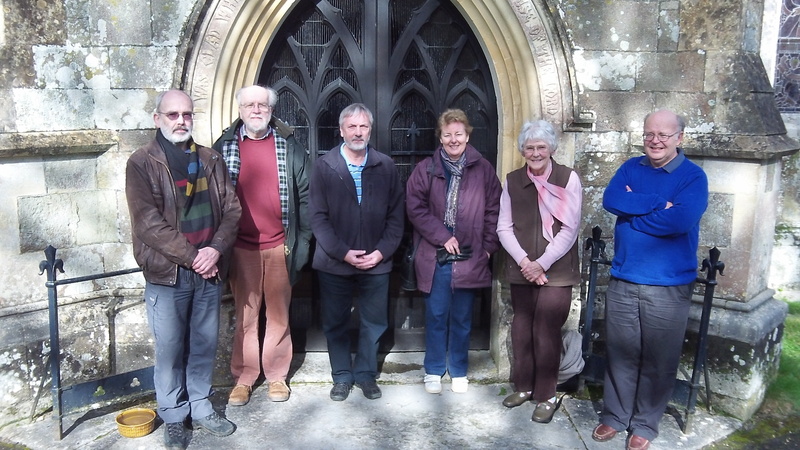 and another to St Rumbold’s at Cann near Shaftesbury. 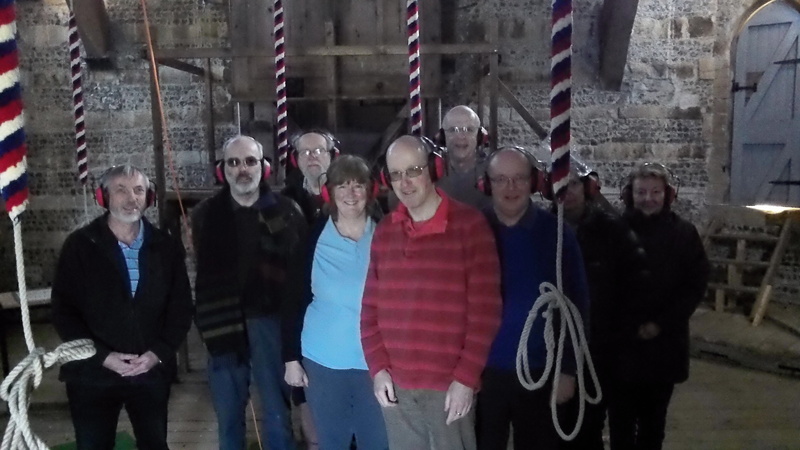 Here we have to thank Tim Jackson for arranging the seemingly impossible to get ring of four.We were joined by a couple of ‘Nabbers’ and after oiling ,checking ,lowering ropes and gently raising the steel bells individually we dared to try some change ringing.Helped along by Ross Robertson, who was getting his last tower in Dorset , we rang a variety of methods to a reasonable standard. Richard, Ross Bradley, Mike and Angie Jasper then went for their quarter. Plan discussed and agreed we jointly called a 1296 in three methods.With sweat pouring out of the men’s scalps and Richrd trying to ignore the fact that his glasses were perched precariously on the end of his nose we eventually scored after a gruelling thirty nine minutes. Well worth the effort was a fitting footnote on Campanophile. Here’s to next month’s which will be on Friday 21st March. More Friday Fun. This entry was posted in Front Page News, News, Quarter Peal Days and tagged St Rumbold.